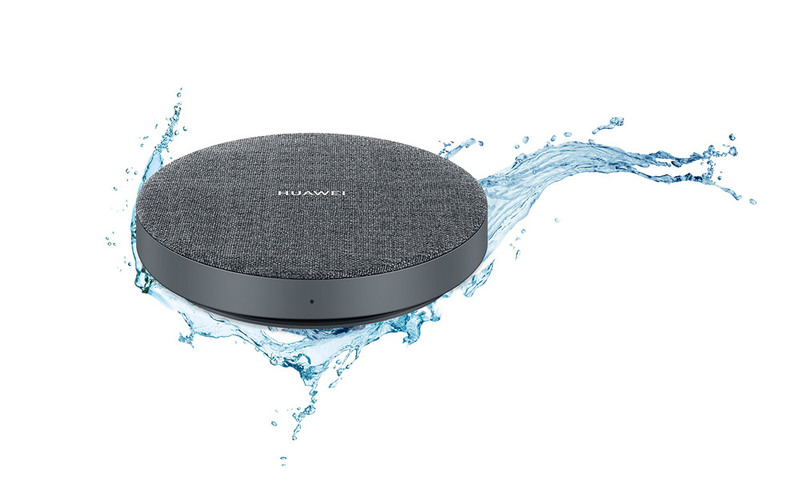 Ahead of the Huawei P30 series reveal, Huawei Malaysia has just confirmed one of its freebies for early bird customers in Malaysia. As teased earlier, early buyers of the P30 series will be getting a Huawei Backup solution for free. 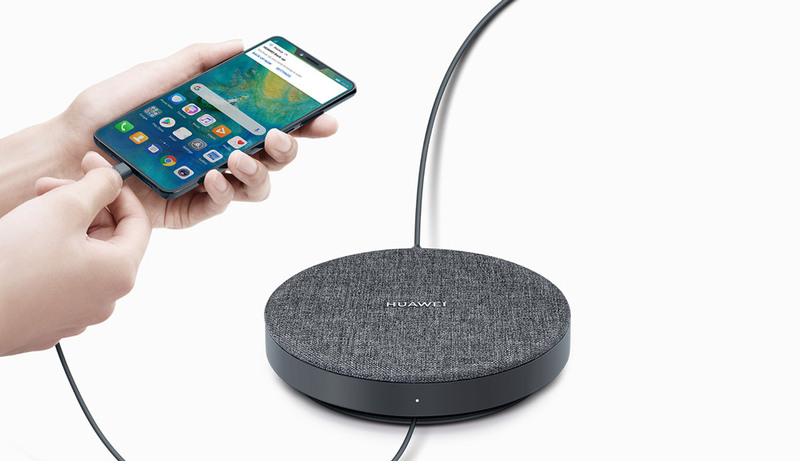 At first glance, the Huawei Backup looks like a Google Home mini or a wireless charger. However, this is actually a backup solution which can also charge your smartphone at the same time. This is quite similar to the SanDisk iXpand base. The Huawei Backup has 1TB of storage which claims to be able to store more than 300,000 HD photos or 3,000 HD videos. According to the spec-sheet, it has a data transfer speed of 30-130MB/s depending on what device you’re using. The Huawei Backup can also work with your PC as an external hard drive. The backup device has IP54 rated dust and water resistance, which provides some level of protection against accidental splashes. It has two USB-C ports, one to connect the charger and the other to connect to your phone. A USB cable is provided and you can wrap it around the Huawei Backup. Looking at the spec sheet, it looks like a charger is not included. 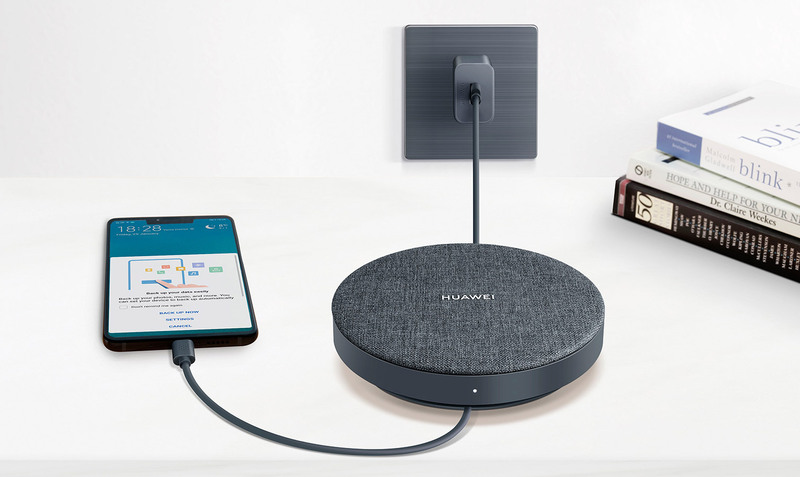 You can plug in a compatible Huawei phone charger which includes the 5V 4.5A Huawei SuperCharge power brick. The backup solution appears to be compatible only with Huawei smartphones that are running on EMUI 9.0 or later. In China, the Huawei Backup is currently going for 649CNY which is about RM393. The global Huawei P30 and P30 Pro launch is happening tomorrow, 26th March 2019 at 9:00PM. Since Malaysia is a key market, we expect Huawei to offer pre-orders very soon and the first sale could take place in the first week of April.